Wise Company is pleased to introduce Wise Milk. 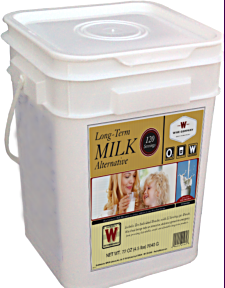 Our Wise Milk buckets consist of multiple servings (12 servings per pouch) of delicious whey milk. Just add one cup of water per serving and it’s ready to drink. Comes in 120 servings, 240 servings, 360 servings, or 720 servings Buckets.